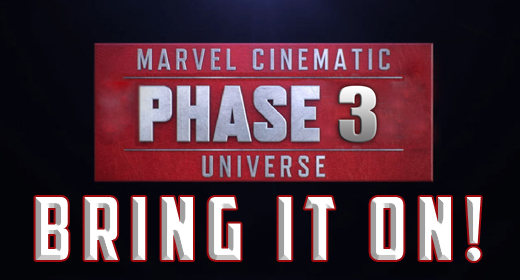 Marvel CMU Phase 3 - BRING IT ON! Today Marvel revealed Phase 3 of their Cinematic Universe, which will take us all the way through 2019. Along with some of the characters we’re already familiar with, Marvel announced several superheroes new to the CMU. Sounds like there’s a lot to look forward to over the next five years. I’m pretty pumped, how about you guys? Which movie are you looking forward to the most? Remember when Wesley Snipes was being considered for the role of Black Panther? He said he’d be willing to do a Blade movie in the CMU. I think it would be cool, especially if they’re doing Doctor Strange.